Pinto beans have gotten us through quite a few lean times. They are filling, nutritious and most importantly very cheap. You don’t need much to cook them other than time. The end result is a yummy main dish that can also be stretched into several other meals (think bean burritos the next day). 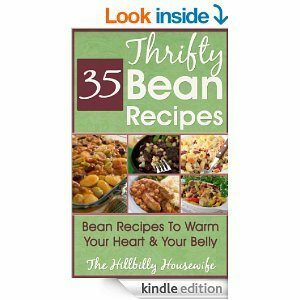 Here’s my best pinto bean recipe. Soak the beans in 2 quarts of cold water overnight, or in 2 quarts of boiling water for an hour or two. After soaking, or the next day, bring the beans to a boil over medium high heat. Reduce the heat, so the beans merely simmer. Cover and simmer for half an hour. Then add the margarine or bacon, salt and pepper. Cover again and simmer for another 45 minutes to an hour. The beans should be tender and fragrant. Bite into one to see if it is cooked though. When they are tender, they are ready to serve. 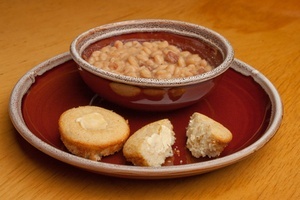 I always serve these beans with Corn Bread and Mixed Greens. This is just about my favorite meal in the whole wide world. Some folks squirt ketchup on these beans when they eat them, that is a fine southern tradition, although I prefer them without it. The small amount of bacon adds to the protein quality of the beans, and it also turns the bean broth into something called pot licker. That means the juice is so good, you want to lick the pot. Soak up the bean juice with your corn bread. Babies of about a year old are fond of cornbread mashed up very smoothly in a little pot licker from the beans. Just make sure to cool it down and mash it very smooth. It was a favorite of all of my kids when they were learning to feed themselves. Got some leftover pintos? 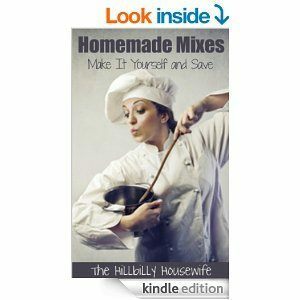 Turn them into refried beans or try one of the other yummy bean recipes.